Our home is a recently refurbished house with 2 floors. Downstairs is a livingroom, dining area and an open kitchen as well as a bathroom, office and a large laundry room with a shower. Upstairs is a master bedroom, guestroom, a childs room and a bathroom. These bedrooms are currently being remodeled with hardwood floors and light colors, thus no pictures yet! 3-4 adults/children can sleep here + one baby. We have a backyard with a large deck, lawn and umbrellas for play, relaxation or BBQ. The area is ideal for biking and we have 2 bikes in the garage for use. We have wireless high speed internet, flat screen TV, DVD. We live in a childfriendly neighborhood just steps from the sea between Sweden and Denmark with beautiful sunsets during the summer. Within 10 minutes walk along the water you will reach a small harbour, a fishing village, 2 restaurants and a childfriendly beach. 10 minutes by bike/car/bus the other direction is the city center with shops and a handfull of restaurants. 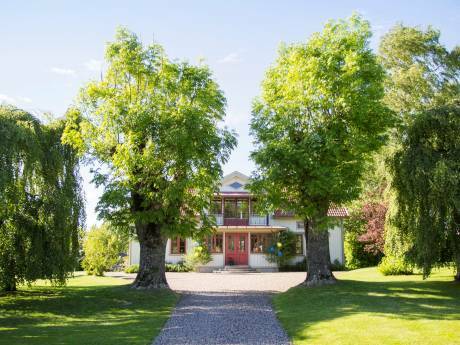 Our house is excellent located for daytrips to an endless number of destinations in Sweden as well as in Denmark! Public transportation is good in this area of Sweden and Denmark with buses, trains and ferries. 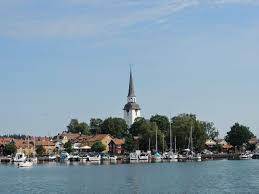 Within 0,5-1 hours away is several larger and intersting cities (Helsingborg and Malmö in Sweden and Helsingor and Copenhagen in Denmark) as well as many smaller and picturesque villages along the coast as well as historical landmarks, castles etc. Gothenbourg is 2,5 hours away by car or train. However, Landskrona is not the ideal location of you have come to Sweden expressly to party...! Our family is a married, proffessional couple with one child who are going to lovely Santa Barbara for 2-3 weeks in July 2009 for vacation and a wedding. We are looking for a house / cottage / condo in Santa Barbara / Riviera / Montecito that we will treat with respect and care as it was our own home! We would leave your house in the same condition as it was when we arrived. We might consider car exchange as well.